The Magical Mystery Rose; In response to Mohur Mother’s Day 2013. There is a rose growing in my garden. 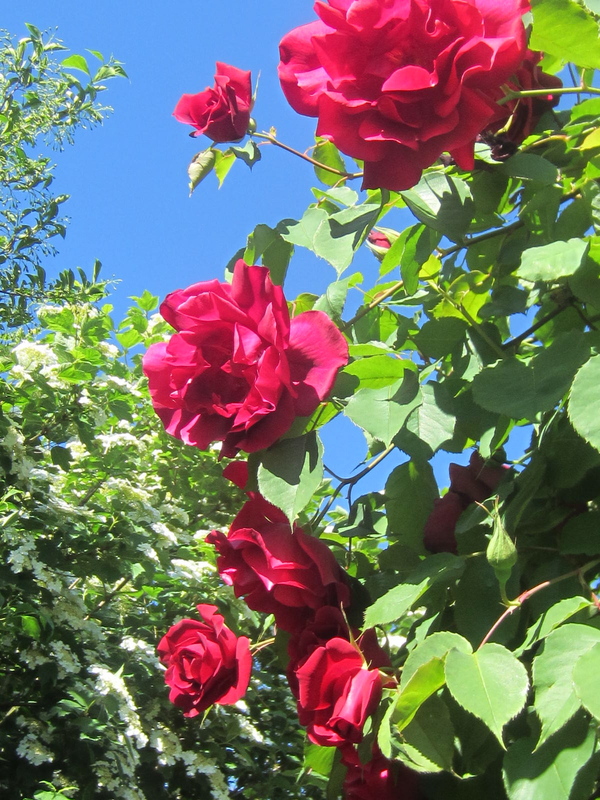 It is a climber, and it reaches far above our gutters. Judging from how large its root is, It was probably planted when the house was new. Unfortunately, the people who planted it gave it nothing to climb on, so as it takes off skyward, it oftentimes wedges itself underneath our eaves, from where it takes off outward. 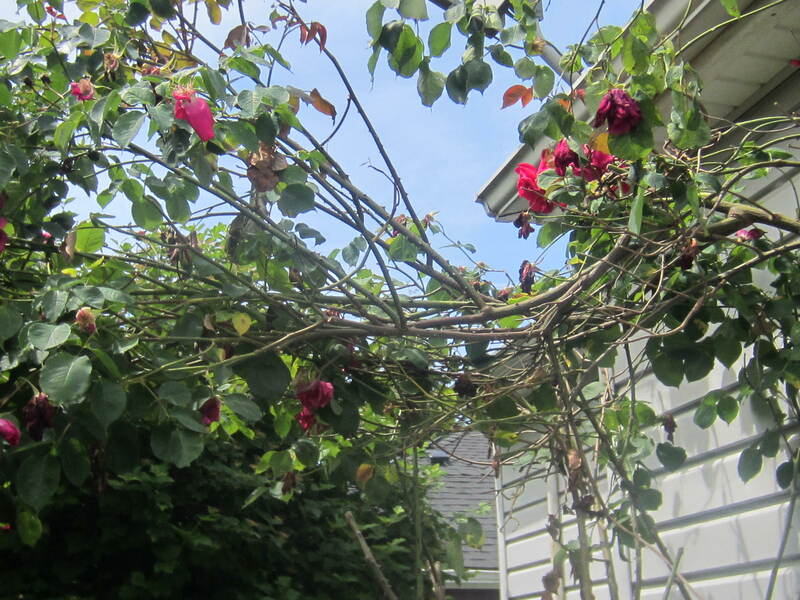 From there, the sheer weight of it pulls it down in a big, thorny, tangled mess. You are a rose too Brie, a climbing rose. 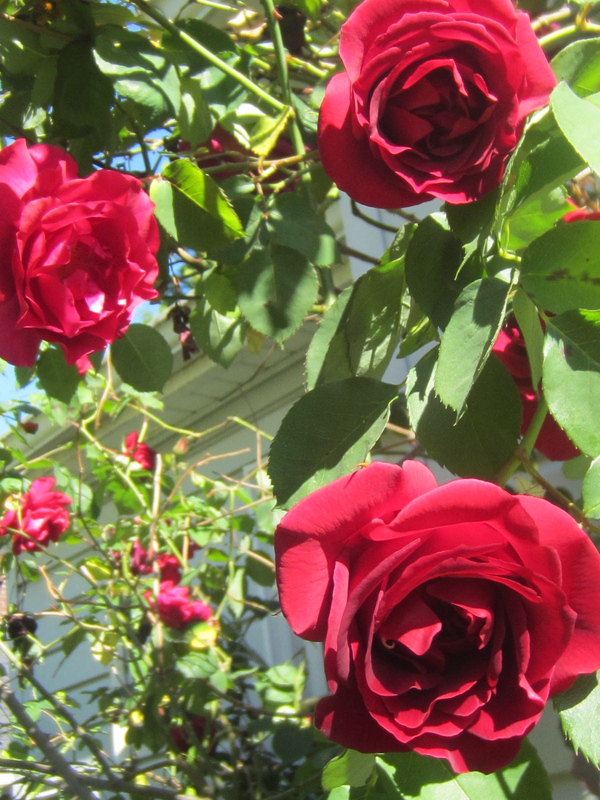 Alphonse Karr wrote “I’m thankful that thorns have roses.” Well, I am thankful too. Wow, this is really beautiful! I’ve never seen bright pink thorns. Hi Codi, yes, the best thorn photo ever. We are on world wide search to find the name of the rose.